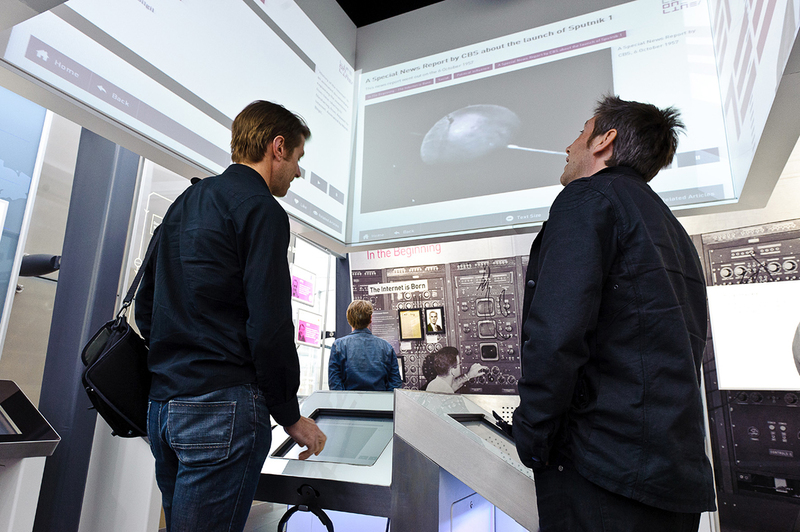 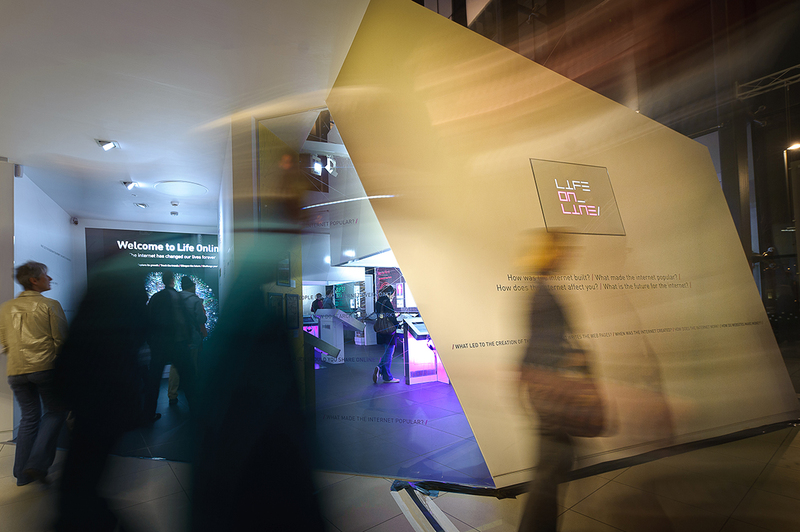 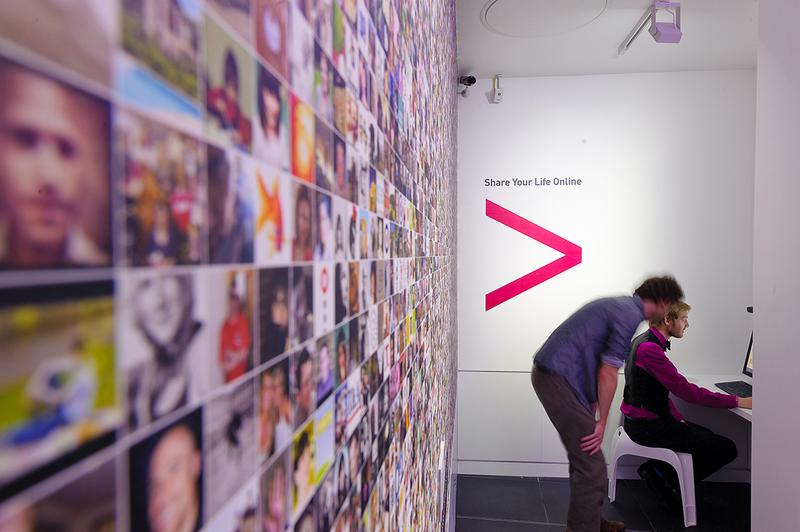 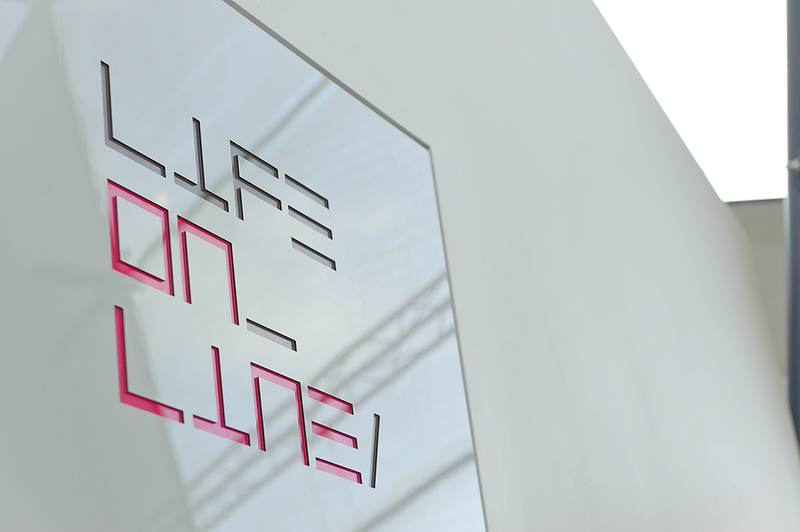 The museum’s permanent exhibition, Life Online, seeks to display the creation and evolution of the internet, and to explore its social, technological and cultural impact in an informing and entertaining way. 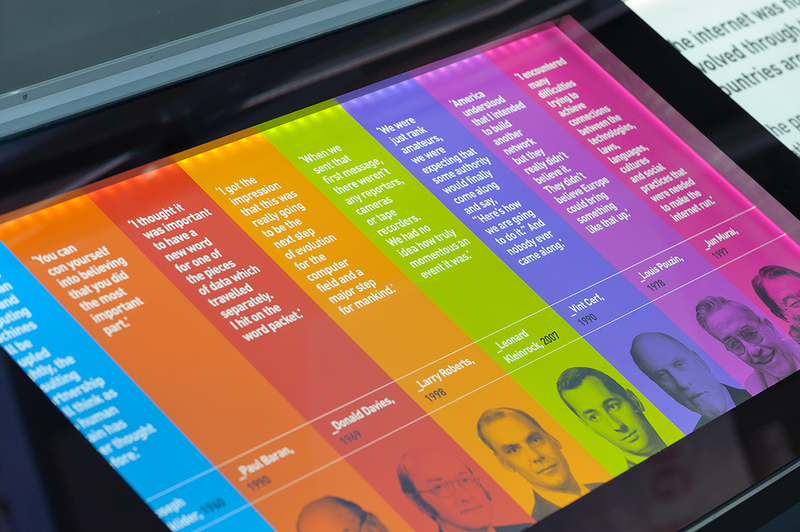 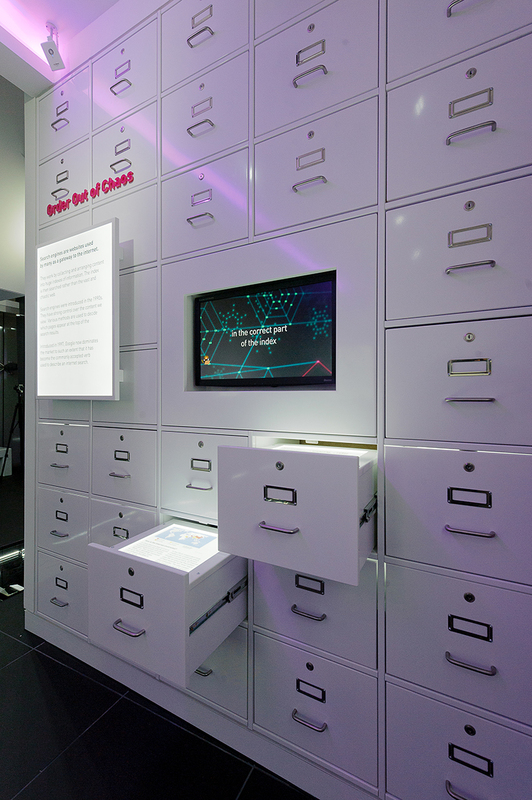 In order to portray the complexity of the internet, the informative exhibition is displayed on the walls at and above eye level, on screens, in opening cabinets and also in the floor. 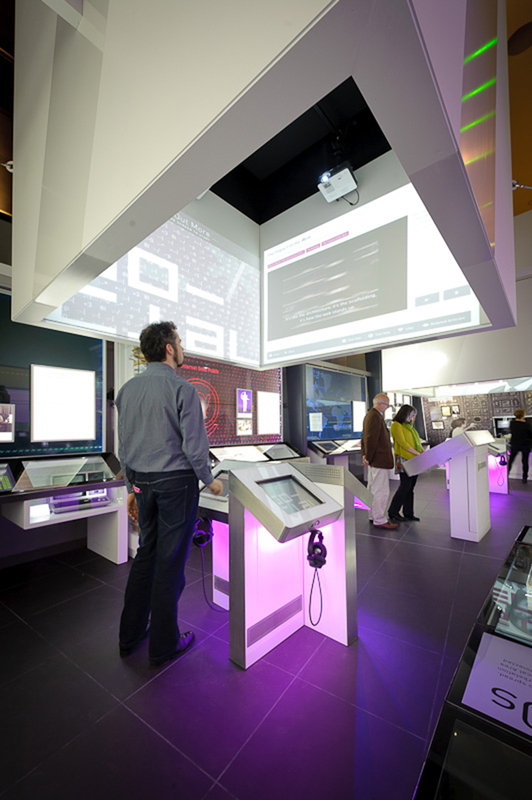 This unusual design for displaying information makes efficient use of the space as well as resonating the complex content of this exhibition. 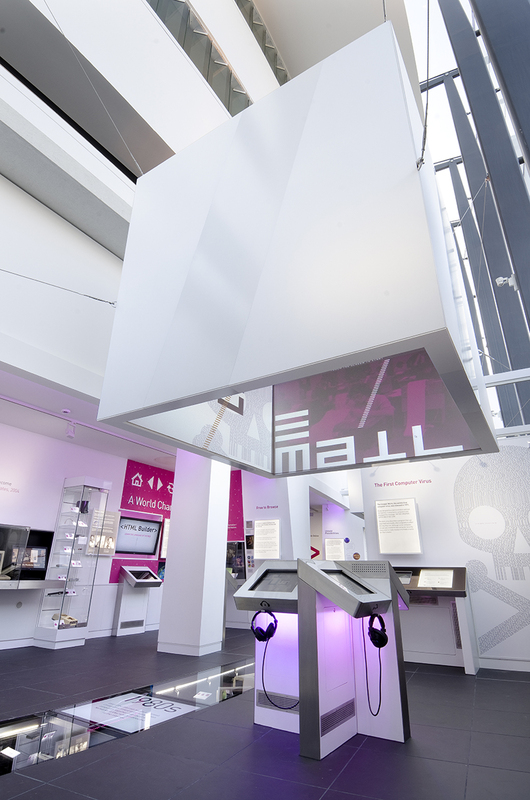 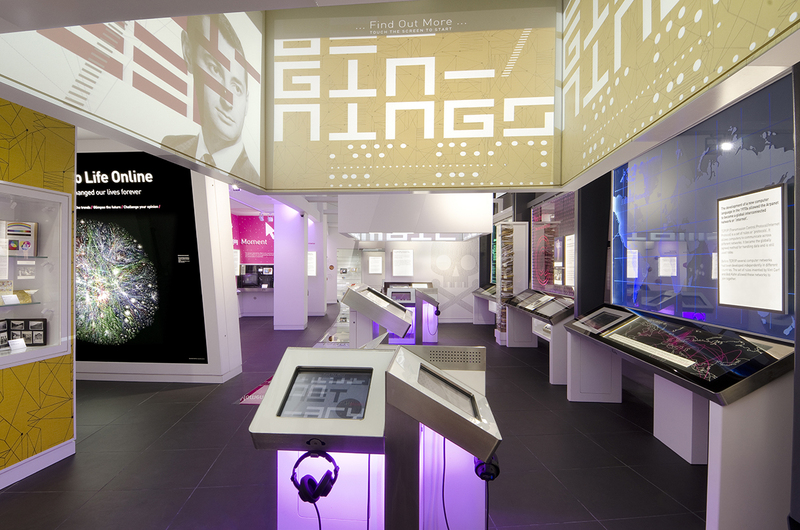 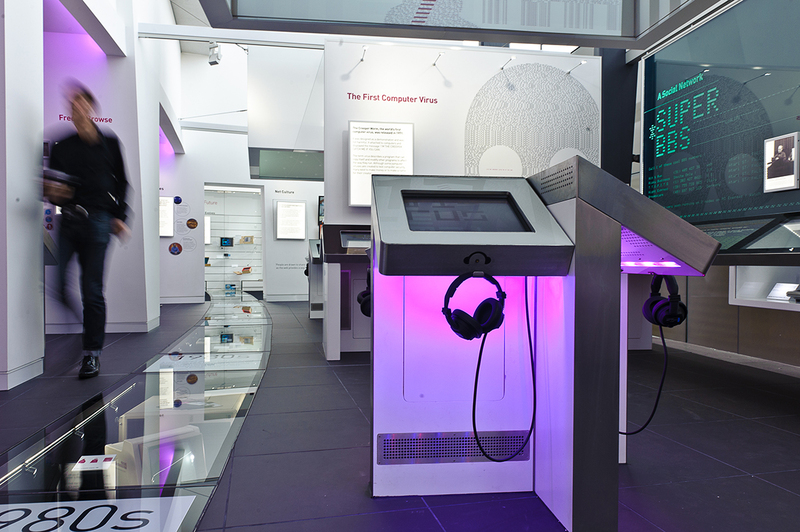 The exhibition was prestigiously opened in 2012 by The Father of the Internet, Vint Cerf.